I have been reading the above book and think it is a book that anyone interested in documentary photography and photojournalism has to read. It discusses a wide range of ideas about contemporary photography and how documentary is evolving. I have read the first chapter and am finding that I have to keep putting the book down to think about what has been written and its impact on the practice of documentary photography. I am now on chapter two and it is just as interesting as Chapter one was. I do not know where or how documentary photography is going to evolve but it is going to and it is from an interesting vantage point that Fred Ritchin gives us some perspective on what is happening within this vital area of photography. I like many photographers would like to earn enough money from documentary photography to be able to do it full time this book might give you some ideas on how to achieve this. 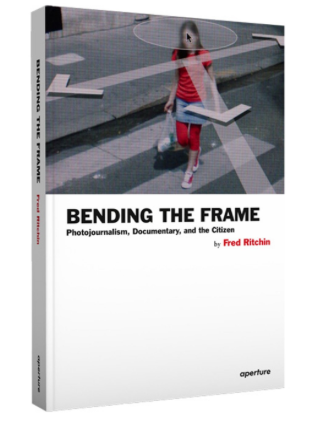 Ritchin, F. (2013) Bending the Frame: Photojournalism, Documentary, and the Citizen. New York: Aperture.